To be admitted to Tennessee Tech's MBA programs, you need an undergraduate degree with a minimum GPA of 2.5 on a 4.0 scale. A minimum GMAT score of 450 is also required. 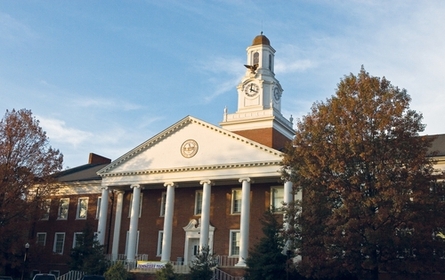 In addition, students must meet a computer efficiency requirement, and competency requirements in accounting, business law, economics, finance, marketing, managements, and statisti...To be admitted to Tennessee Tech's MBA programs, you need an undergraduate degree with a minimum GPA of 2.5 on a 4.0 scale. A minimum GMAT score of 450 is also required. In addition, students must meet a computer efficiency requirement, and competency requirements in accounting, business law, economics, finance, marketing, managements, and statistics. Students who did not major in business can fulfill these competency requirements through college coursework or through pre-MBA, self-study courses. Thanks to the flexible scheduling and affordable tuition price, Tech draws a fairly diverse group of students, who “range in age from 20s to 50s. The majority are working professionals intent on getting a good education.” Within the business school, there is a “very social life with frequent pizza sessions in class and [an] end-of-the-semester outing.” In fact, “students at Tech tend to bond together. They study together, hang out together, and go out together.” Acurrent student writes, “One of the things I like best about Tech is that the school is just small enough to encourage a tight group of people. When you go out, everybody knows your name.” To add to the appeal, “the campus is beautiful with buildings easily accessible on foot,” and is located in the “darling, small town” of Cookeville, Tennessee, seventy miles from Nashville. Tennessee Tech’s Career Services Center serves the entire campus community, including the business school. Throughout the year, the center hosts on-campus interviews and career fairs. A recent career fair drew large employers such as AFLAC, Axciom Digital, Honda, Federal Bureau of Investigation, 21st Mortgage Corporation, Denso, Alstom, Lennox, Greystone Healthcare Management, Regions Financial Corporation, Sonoco Products Company, Schneider Electric, Enterprise, Unifirst Corporation, Central Intelligence Agency, and State Farm Insurance. A number of these employers were specifically seeking MBA graduates. According to the business school literature, Tennessee Tech is usually successful in placing all candidates who are seriously seeking employment after graduation. Want more info about Tennessee Technological University College of Business Administration Distance MBA? Get free advice from education experts and Noodle community members.